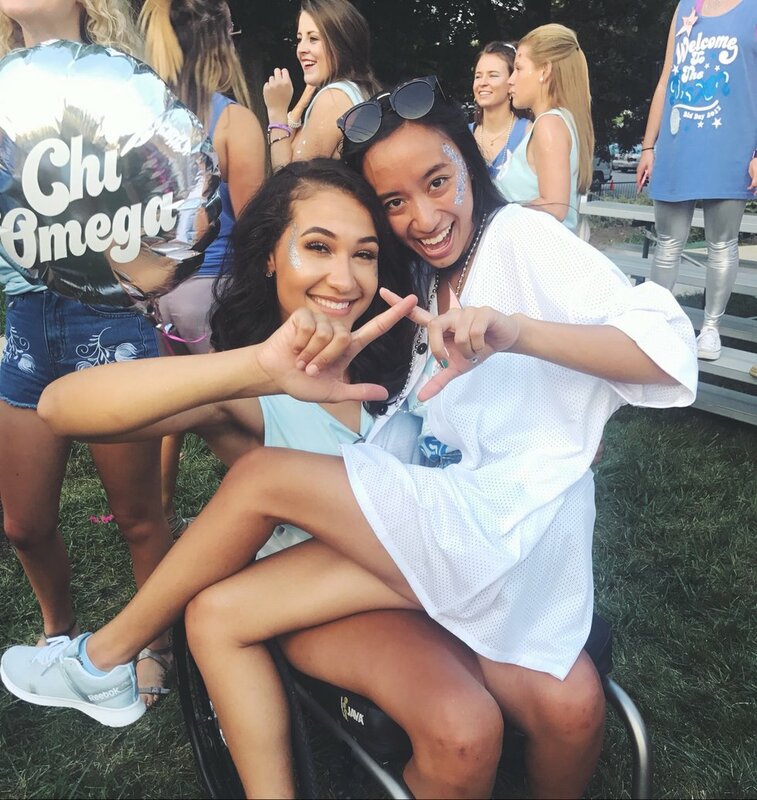 In honor of sorority recruitment season, the women of Chi Omega give personal accounts from one of the most special weeks of their lives as a Chi Omega! As a Chi Omega woman, I can speak for myself as well of all of my sisters when I say Lambda Alpha truly is something special. It is a place we are accepted for every little thing about us, flaws and all. We do not seek perfection by any means. We seek real, down to earth women who were put on this planet to make an impact and do something great. We all share an immense passion and deep endearment for our chapter. Oddly enough, what brings us together are our differences. We accept and welcome one another with open arms and are committed to providing continuous support for one another through any and every circumstance that comes our way. The bond Chi Omega women share is something so surreal, and I am lucky enough to be a part of it. Pledge class '18, you will know exactly what I am talking about and sense the strong bond between our women the first day you step foot in the Chee, our home, and soon to be yours as well. Recruitment is a lot. It is tiring, overwhelming, and exciting all at the same time. 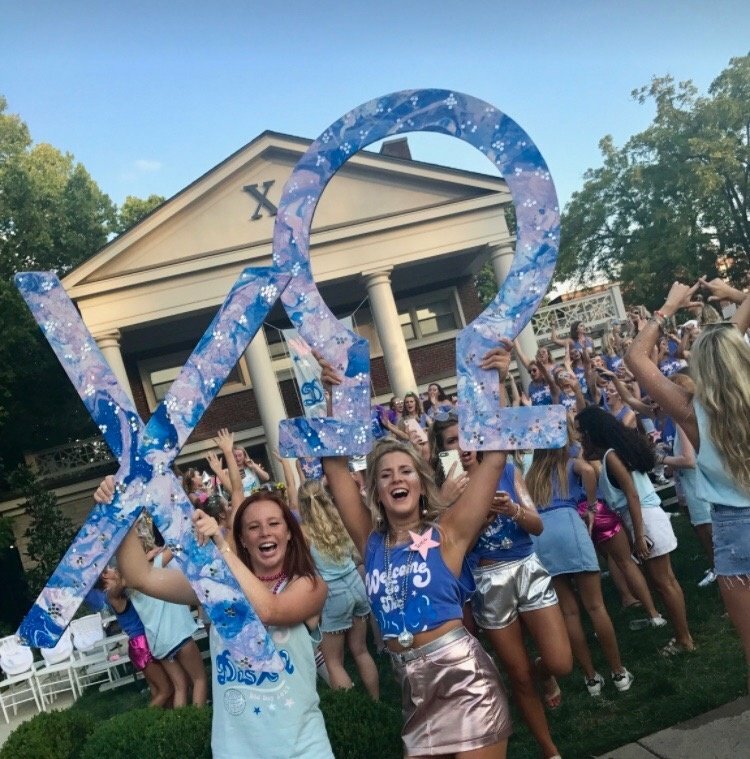 I hope when you are handed your piece of paper each morning, Chi Omega is the one house that makes your heart skip a beat with happiness and excitement just as it did for me. I knew Chi O was my home from day one. and open house round was all I needed to know where I was meant to be. 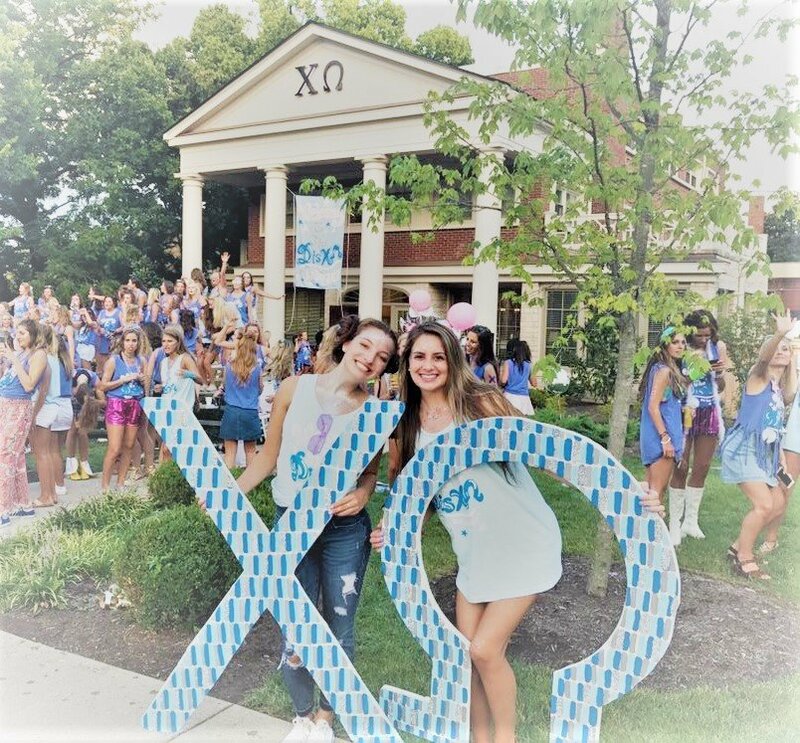 Below are 18 of my incredible sisters who share their favorite moments from recruitment week and bid day, both equally special to a Chi O woman! "Omg probably our insane dance party that went on forever and the purple lipstick!" 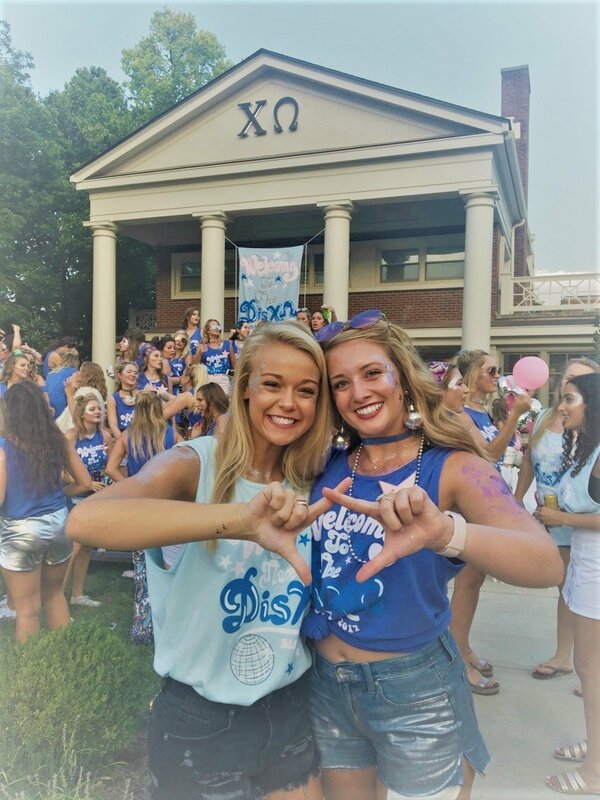 "My favorite memory was the first day I ever walked into the Chi O house and a sudden feeling of belonging swept over me. I met a girl that I fell in love with and we connected so well! I just felt like the girls were so down to earth and awesome! I was so happy and excited to go back. I just feel like it was meant to be!!! My first day at Chi O was so amazing!" 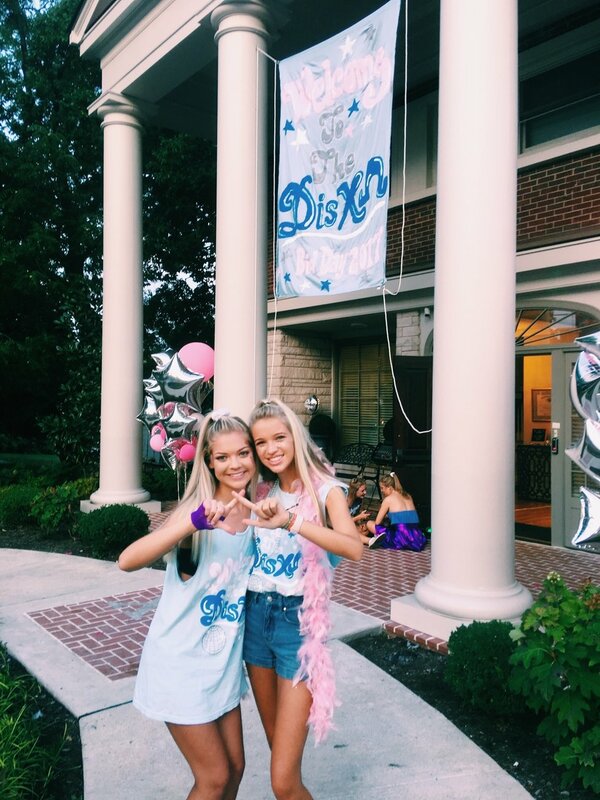 "My favorite party of bid day was literally sprinting to the Chee and being greeted by my soon to be big, Cameron. Being greeted with such excitement and feeling so welcomed was probably one of the best feelings in the world. Being surrounded by such an awesome group of diverse girls who were all somehow just like me was also just as amazing. 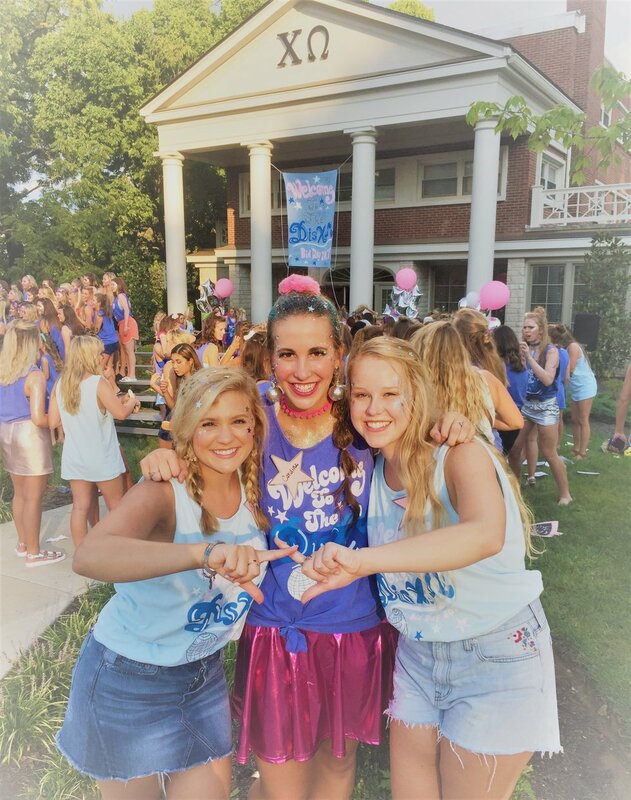 Clicking instantly with my future bffs (and roomies), CB and Madison, helped me cherish bid day and my college experience so much more." "My fave memory was finding out that my Gamma Chi was my sista!!!! Now my roomie!!!!! And I loved being able to see all the houses and talk to so many different types of people. Also, getting a freaking Chi O bid in itself was the best thing ever." "Seeing everyone so happy knowing they found their forever home with such a great group of girls that they now get to call their sisters for life!!!" 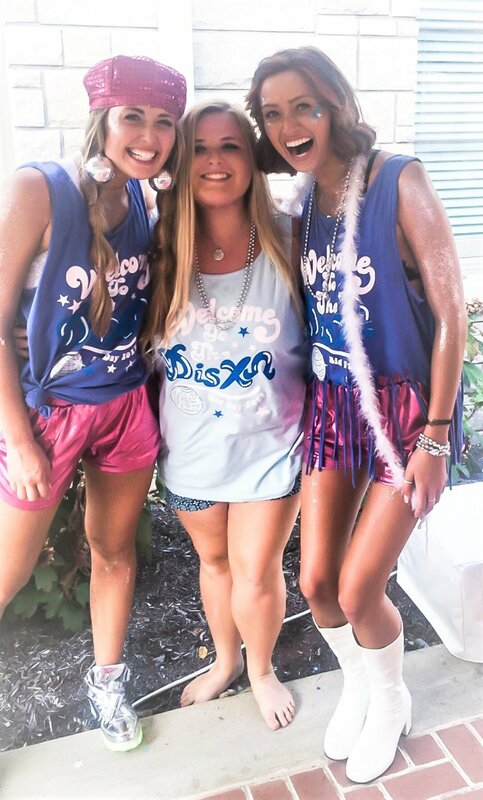 "Bid day was definitely the suspense and excitement right before opening the card and running to the house." 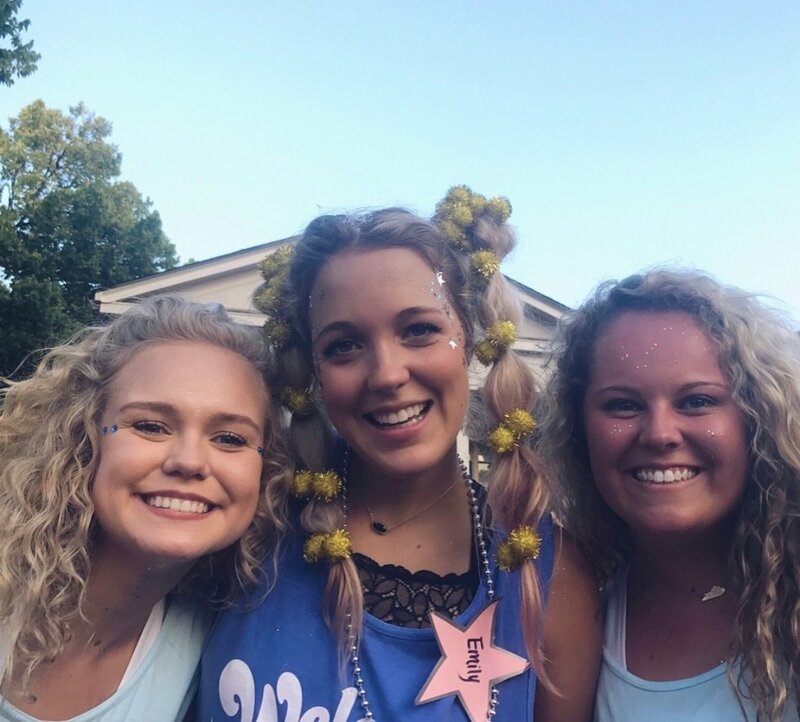 "My favorite part of rush was getting to know the girls in my Gamma Chi group and my favorite bid day memory was dancing and singing on the median of Rose Street with my new sisters!" "Finally finding someone to connect with!! I talked to Lily Daily and she was awesome!" "My fave part of bid day was how crazy it was. Like one minute you're running onto the lawn looking for someone with your name on their sign, the next you're dancing with your new #sistas, and then you're getting hot dogs and funnel cake in the backyard of the Chee." 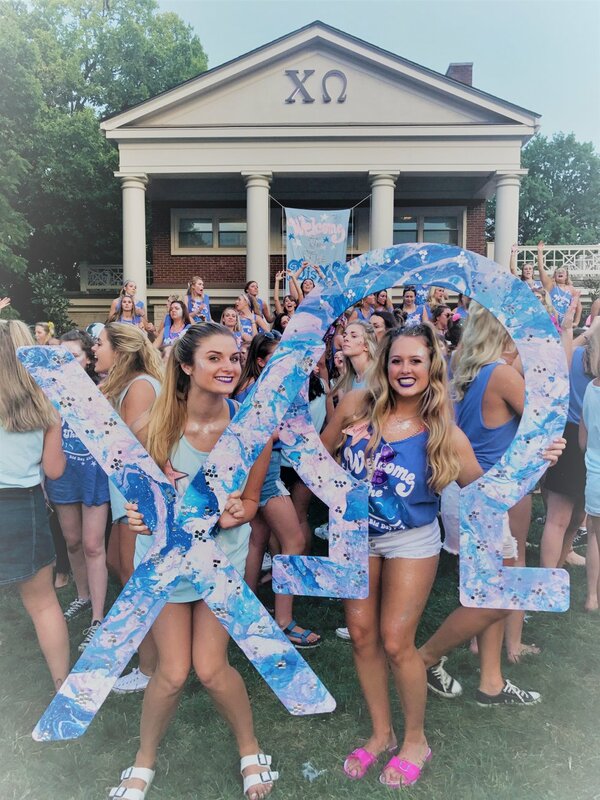 "So my favorite part/memory of rush was for sure just getting meet all types of people and making friends throughout the whole process-regardless of whether or not we ended up in the same sorority. There was just such a cool collective of people from all over the place & everyone had their own unique styles.Towards the end of rush week, i remember leaving one of the houses completely in tears because I'm just a major softie. I was so embarrassed that all these girls who didn't know me had to see me as an emotional wreck! but as i was walking away someone tapped on my shoulder and I turned around to see a girl who's makeup was running down her face. And she just said "girl, I'm so glad I wasn't the only one crying" and even it was a pretty lame thing to bond over, we've been friends since! Bid day is still to this day one of my favorite experiences I've had so far in college. It's honestly such a blur haha. One moment we're running to our houses and the next we're all laughing, eating, and dancing in the street. That day was just filled with so many good vibes. It was the first time our Fall '17 pledge class was together and it's insane to see how we've changed since that day. For me, it was a crazy group of strangers that ended up being the most dope sistas. I have so much love for these girls and bid day is what started it all!" 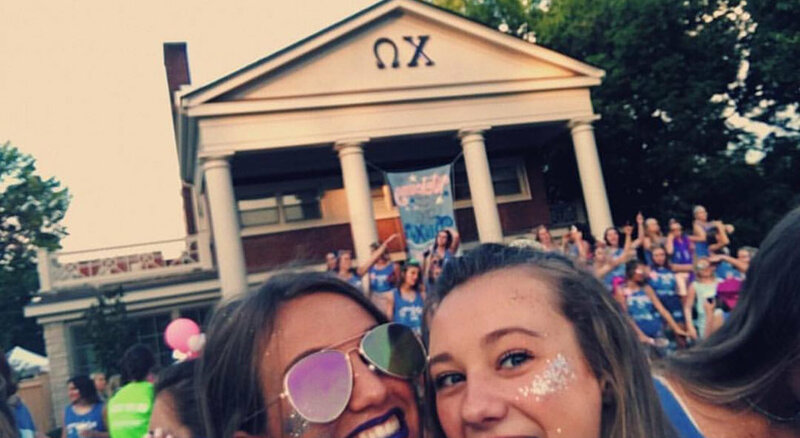 "I was so excited on bid day that Claire and I literally ran to the lawn. I loved dancing on the lawn on bid day. I only knew a handful of girls, but no doubt it felt like home!" "My favorite memory from bid day was dancing in the street with everyone until the sun went down!!" 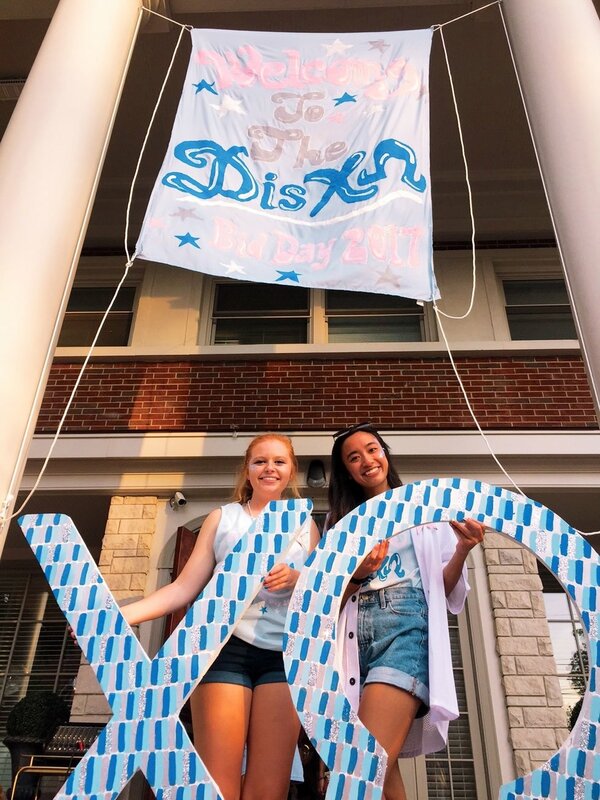 "My favorite part of bid day was probably running to the Chee from Memorial Coliseum and being the first one on the lawn and being greeted by my owl pal, Molly, who would later turn into the most amazing big ever! She didn't know me at all, not even through recruitment, but she welcomed me in with open arms and treated me like we had been friends for years. Hands down best day ever and I'm hyped for this year's bid day woop woop!" 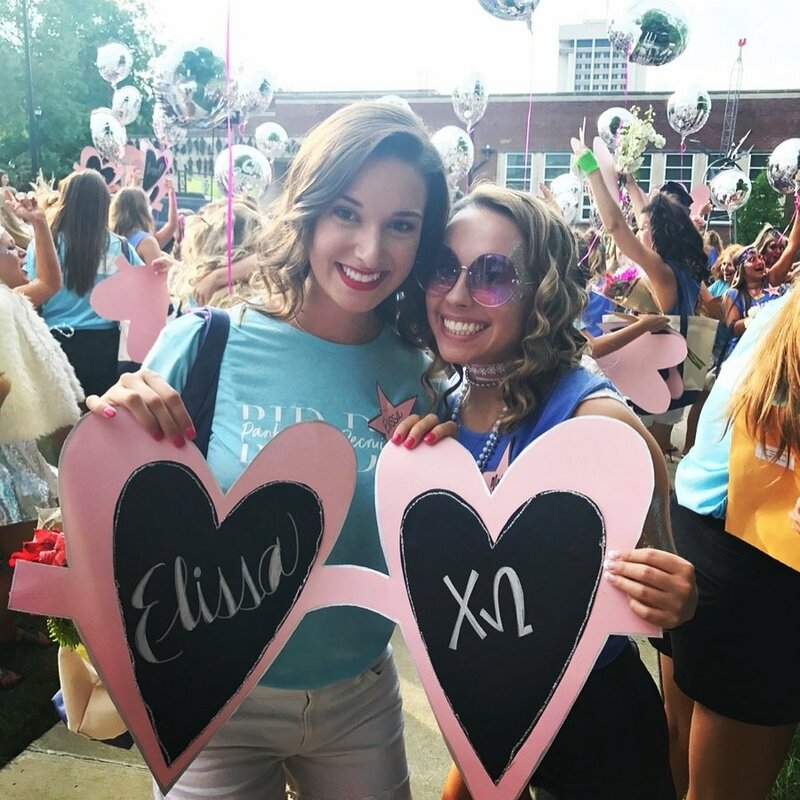 "I didn't know it then, but bid day was the start of what seems like a new life for me. The friendships, support, and happiness, and love I have received from bid day on have changed my life. I've never felt so lucky!!" 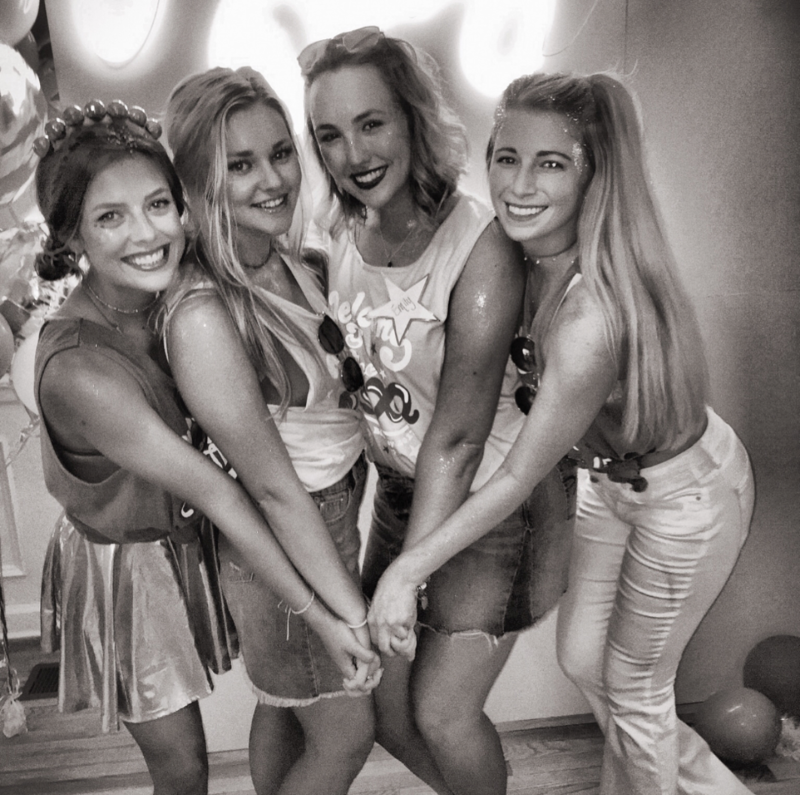 "My favorite memory of rush/bid day was opening the card that told me I was in Chi Omega. I knew ever since the first day I was at Chi O, I had to be one. Rushing to the lawn and seeing the ladies twerk to 'Molly Cyrus' was when I definitely knew I was in the right place." "My Gamma Chi!! I got so close to our Gamma Chi, Bailey Cremeans, and was fortunate enough that she was a Chi O girlie. Gamma Chi's as a whole just make everything so much more comfortable and FUN!" 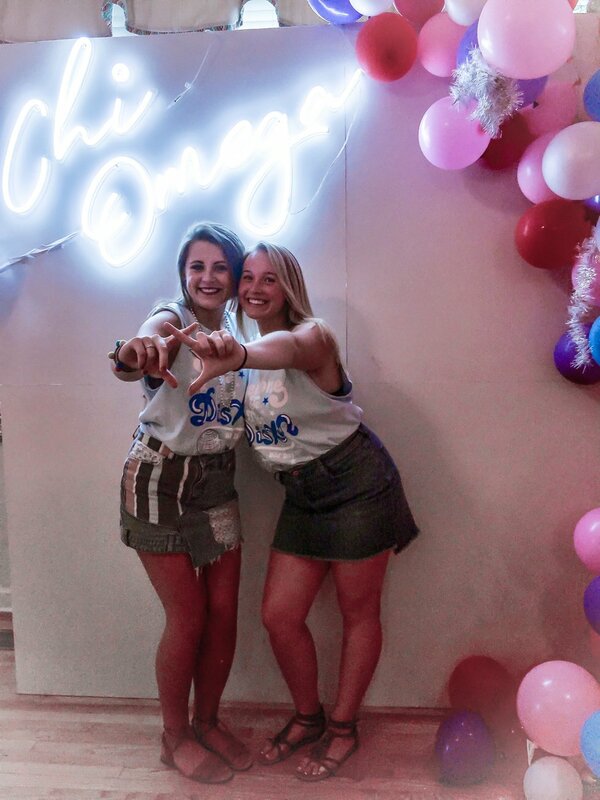 "My big was the very first person I talked to when I walked into Chi O, I was obsessed with her all week, and running home to her was literally the best feeling. I was just so grateful running to Chi O because I genuinely felt like I had found a home, in the truest sense of the word. 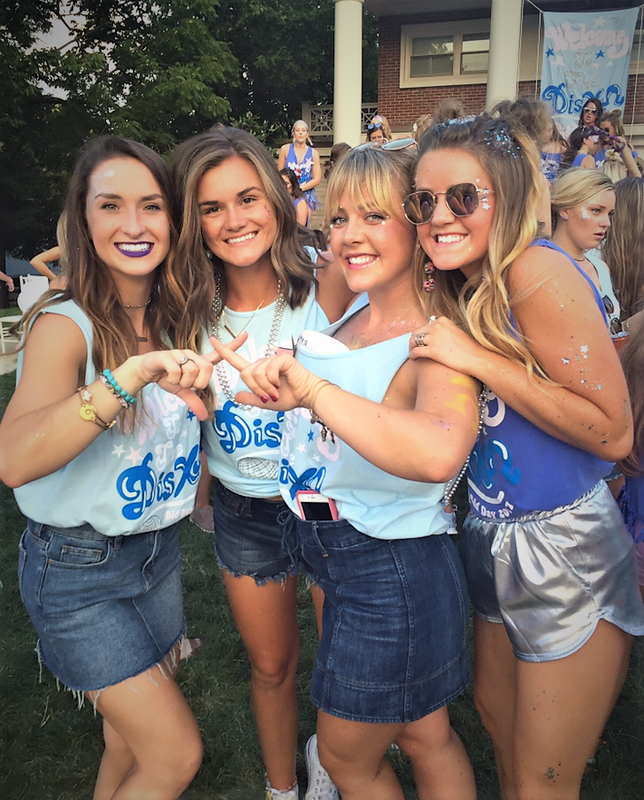 Every time I left Chi O I was smiling and laughing and felt so at ease and happy!" "My favorite memory from rush was definitely getting the chance to meet so many people and when we all had snow cones on one of the days during. 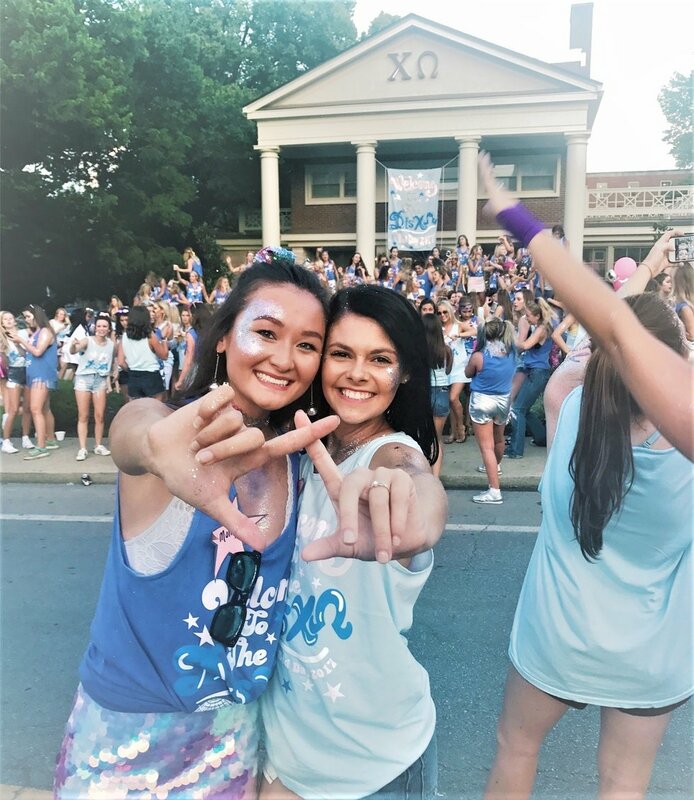 My favorite memory from bid day was dancing and singing in front of the Chee, especially to the Chi Omega girl song, and getting to meet all of the girls that would become my sisters."